Technology has reformed every aspect of our lives and those stuck to the old conventional means are experiencing difficulty in catching up to the advancement which keeps creating better alternatives. The banking system has transformed too, with the majority of the businesses opting for online transactions. The slow pace of finanicial institutions have been incapable of matching the pace of the customers in terms of efficiently using the advancements of the world. The financial requirements of the customers remain the same, pay bills, access credit, retirement plan, etc., but they don’t need traditional bank system to that for them anymore. Customers today prefer a more tech-savvy approach towards their problems because it is faster, convenient and more easily available. 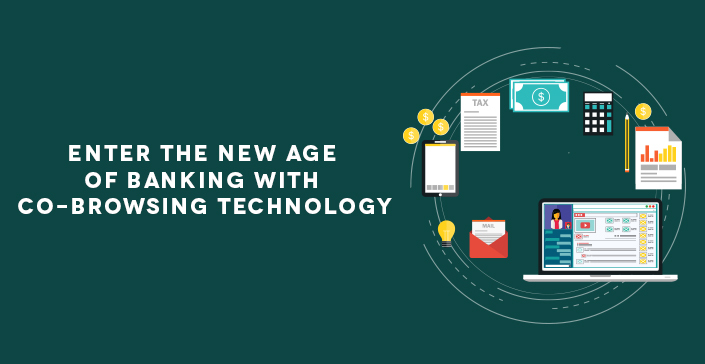 A global survey was conducted and it shows that the financial organizations are working hard towards keeping up with the current technological trend. Several financial executives, however, claim that they won’t be able to reach the expected digital milestones in another five years, it might be too late by then. In the next 5 years, the consumer base will mostly comprise of Millennials and a generation that hasn’t survived with out the worl wide web. It’s estimated that in five years, 70 percent of the branch appointments will be largely replaced by video chat. Omni-channel integration is only achieved by 4 percent of the financial organizations. 85 percent possess only some channel and one in ten claim they have no channels installed at all, making the customers experience inconvenient. Bankers are realizing that their means are not sustainable and are investing in various means to close this gap. A more personalized experience is also required, and these value-added services will be beneficial in the long-run. VeriShow, being the Omni-Channel platform strives to provide excellent service to those organizations who are adapting the new technology and want to use it as a means to build a connection between its customer agents and users. We understand this need and thus provide financial institutions with various services like co-browsing, live video chat, document sharing, calculators, etc. all in one and integrated with live sessions. Co-browsing to a huge extent has revolutionized the process of customer service, where the agents and their clients have a more feasible technology at hand. Co-browsing technology that enables the agent to access the customer’s web browser in a live section and provide assistance with viewing pages can also control them. The co-browsing application HTML5 patent provided by us helps agents to co-browse the company’s website with the customer’s present on the site. With these, they can discuss products, provide help in filling online forms and completing a purchase. This will enable institutions to achieve First Call Resolution (FCR), customer satisfaction and long-term customer loyalty, and most importantly increase sales. It’s a convenient option and is preferred over the long conversations with agents on calls, which is a waste of energy and time-consuming. Co-browser we provide doesn’t need a proxy server to browse through the pages or the limitations set by JAVA, one-click to connect with the agent instead of a tiresome procedure, installation is not required. It also is compatible with all modern browsers, providing instant browsing to mobile devices. The control option can further be explained as the ‘See it, Show it’ option, which is a really helpful co-browsing patented technology which combines the directional and visual cues where along with telling the customer what they should do, the agents can show them how to do. This reduces the risk to the user’s privacy as he/she controls what the agent get access to. Along with that this also speeds up the process, reducing the time to resolve the problem and high efficiency. Customer relationship management solutions such as Microsoft Dynamic CRM and Salesforce also integrates an Omni-Channel platform. It provides assistance for both parties to communicate through various channels; phone, video chat, textual chat, the web to phone, etc. Once the connection is made, customers can instantly provide service to their customers giving solutions through mobile devices, the web and kiosks present on the premises.